My name is Todd Heiden and I consider myself, my daughter Sofie, and my son Max survivors of preeclampsia. I’m heartbroken to say that my wife Joan did not survive. I need to tell her story, in hopes that it can save the lives of other mothers – and keep families together. Like many expectant parents, Joan and I weren’t aware of preeclampsia. We didn’t know that it can happen to any pregnant woman during the second half of pregnancy – or up to six weeks after delivery. We didn’t know what symptoms to look for, or when to seek immediate medical attention. This lack of knowledge eventually took Joan’s life, and it wasn’t just us who were uninformed. After Joan was diagnosed with severe preeclampsia and delivered Max by C-section at 35 weeks, we were told that “delivery was the cure” for preeclampsia so she was discharged 48 hours later, with no mention that it could strike again or may not be completely gone. They were wrong – delivery is a treatment for preeclampsia and we should have been informed about new or lingering symptoms to watch for. Within days of returning home, Joan collapsed in my arms, her lungs full of fluid, and suffered severe, irreversible brain damage as a result of post-partum preeclampsia. She died 17 days later, surrounded by our grieving family whom she loved so much. So, no, delivery is not a “cure” for preeclampsia, and post-partum preeclampsia is a real-life threat that all pregnant women and their healthcare providers should know about. 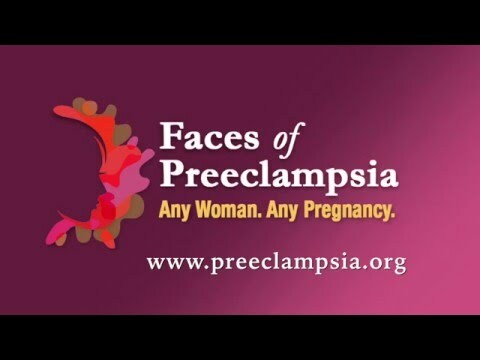 That’s why I’m asking you to donate to the Preeclampsia Foundation. With your year-end gift, you can help save the lives of moms and babies. Your contribution will be used to launch the Foundation’s new Health Services Research program designed to serve as a catalyst for improving outcomes, policy, and practice in preeclampsia patient care through meaningful and impactful research. We’re shooting for the stars with a giving goal of $30,000 – all gifts are welcome! We’re especially excited about offering a beautiful personalized Crystal Tribute Star ornament for your gift of $100. Are you one of 300 people who can help us reach our goal with your $100 gift? I am, in Joan’s memory, and I’m asking you to join me by honoring or remembering your loved one this holiday season. By making a gift today, in any amount, you can help save the lives of moms and babies. In the spirit of lives lost to preeclampsia, please donate today. You can return your donation in the enclosed envelope or go to www.preeclampsia.org/donate, where you can see all the “star” gifts for different giving levels.